Ever thought your GPS system said you’d gone further than you expected? A new study dives into the statistics behind the satellite-based positioning service—and finds that overestimates in distance are inevitable based on the way measurements are currently made. A team of researchers from the University of Salzburg in Austria have been looking at how GPS systems calculate distances between two points. Their findings suggest that on average the predicted distances are bigger than the true distance between the points. The math that supports GPS is complex, but the finding is pretty easy to explain. A GPS system calculates total distance by calculating short distances between points along the route that can be reasonably approximated by a straight line. These distances are pretty small, so the curvature of the Earth—which would mean that GPS could actually underestimate distance using this straight line approach—is fine to ignore. The problems comes from how errors in position accumulate over time. There is, obviously, random noise in the position data from GPS, with the system getting your location wrong by anything from millimeters to meters at any given moment. You’d expect those random errors to cancel out over a large number points, because they’re random: they’d be small as frequently as they are big, and in one direction as often as another. Over enough points, their effects should melt away. Consider the two points and the straight line between them. This straight line is the shortest distance between the two points. Now consider random displacements of the two points. The only displacements that reduce the distance are those that move the two points closer together, for example displacements along the line towards each other. The majority of random displacements end up increasing the distance. So, as a GPS system calculates the distance you travel, each small straight-line segment is likely an overestimate. Keep adding each of those segments up, and it’s virtually impossible not to overestimate total distance. 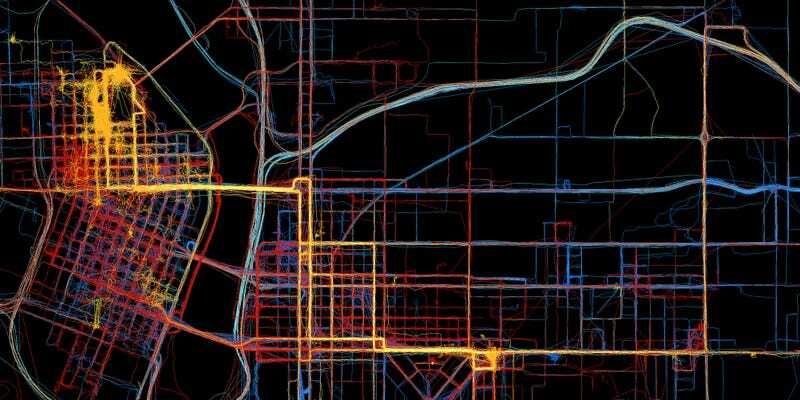 In a series of experiments using consumer GPS systems to measure distances travelled in cars and on foot, the researchers found that the overestimates can be as bad as 20 percent. The research is published in the International Journal of Geographical Information Science. It would actually be easy enough to use such a technique, as no new data would be required—just some new lines of code. The team is yet to test the theory out, but when they do your GPS may start recording distances more accurately.